^ "Apple Releases macOS Mojave". MacRumors. September 24, 2018. Retrieved September 25, 2018. 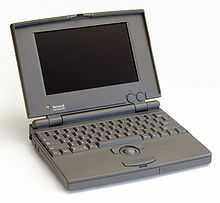 ^ "Umax gains Mac OS 8 license". CNET. September 8, 1997. Retrieved June 5, 2018. ^ Simon, Jeffrey S. Young, William L. (April 14, 2006). iCon : Steve Jobs, the greatest second act in the history of business (Newly updated. ed.). Hoboken, NJ: Wiley (retrieved via Google Books). ISBN 978-0-471-78784-6. Retrieved January 6, 2014. ^ Freiberger, Paul (September 14, 1981). 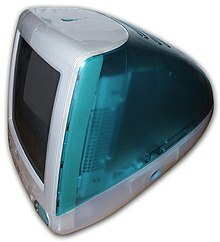 "Apple Develops New Computers". InfoWorld. pp. 1, 14. Retrieved April 8, 2019. ^ Zonano, Victor (August 4, 1985). "Regis McKenna: The P.R. Guru of Silicon Valley : Clout With High-Tech Firms and Press Is Great, but Some Are Disenchanted". LA Times. ^ Dvorak, John C. (February 7, 1983). "Meditating on the fruit-tree fable". InfoWorld. pp. 34–35. Retrieved June 29, 2017. ^ Cellini, Adelia (January 2004). "The Story Behind Apple's '1984' TV commercial: Big Brother at 20". MacWorld 21.1, page 18. Archived from the original on June 28, 2009. Retrieved May 9, 2008. ^ McCarroll, Thomas; Michael Moritz; Philip Elmer-DeWitt (April 2, 1984). "The Peanut Meets the Mac". Time. Archived from the original on June 9, 2008. Retrieved February 23, 2011. ^ Hayes, Thomas C. (April 24, 1984). 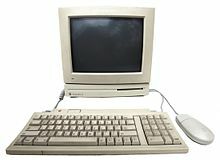 "Apple is Banking on New Portable: The IIc Computer". The New York Times. Retrieved January 5, 2015. ^ Mace, Scott (April 9, 1984). 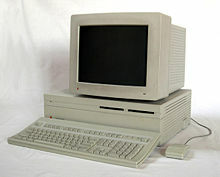 "Apple IIe Sales Surge as IIc is Readied". InfoWorld. pp. 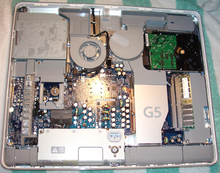 54–55. Retrieved February 4, 2015. ^ Bartimo, Jim (February 25, 1985). 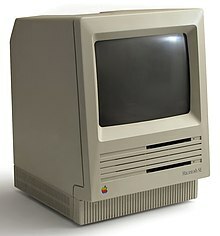 "Macintosh: Success And Disappointment". InfoWorld. p. 30. Retrieved January 27, 2015. ^ a b Watt, Peggy; McGeever, Christine (January 14, 1985). 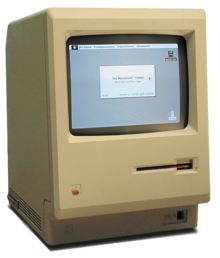 "Macintosh Vs. IBM PC At One Year". InfoWorld. pp. 16–17. Retrieved December 28, 2014. ^ da Cruz, Frank (June 11, 1984). "Macintosh Kermit No-Progress Report". Info-Kermit Digest (Mailing list). Kermit Project, Columbia University. Retrieved February 24, 2016. ^ Webster, Bruce (February 1986). 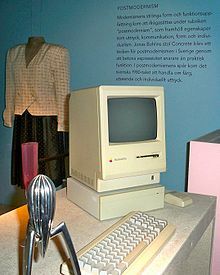 "Programming Tool and the Atari ST". BYTE. p. 331. Retrieved May 9, 2015. ^ "Apple is moving on from Intel because Intel isn't moving anywhere". The Verge. Retrieved November 7, 2018.